Once again the capital of India, New Delhi is declared as the most polluted city on planet earth. The city has the worst air pollution in the whole world which is hazardous to public health. As we all know, During the festive season we see a lot of firecrackers everywhere especially on the day of Diwali. These firecrackers create a huge amount of smoke which results in serious air pollution and it also causes noise pollution. Despite the Supreme Court’s orders, the locals were not limiting their use of firecrackers which results in New Delhi being the most polluted city on earth once again. Last year, the supreme court banned the use of firecrackers in New Delhi by keeping the serious condition of pollution in mind but nobody followed it and to show their rebellion nature, people started burning firecrackers in front of the court. This year supreme court didn’t ban the use of the firecrackers but they limited it by fixing a specific time of the use of them. Burning crackers after 10 Pm were not allowed in the city and they also promoted the use of green crackers that cause less pollution but as usual, the people showed their rebellion nature and didn’t follow the rules and now they will have to face the ill-effects of it as the emerging pollution is hazardous to people’s health living in New Delhi. 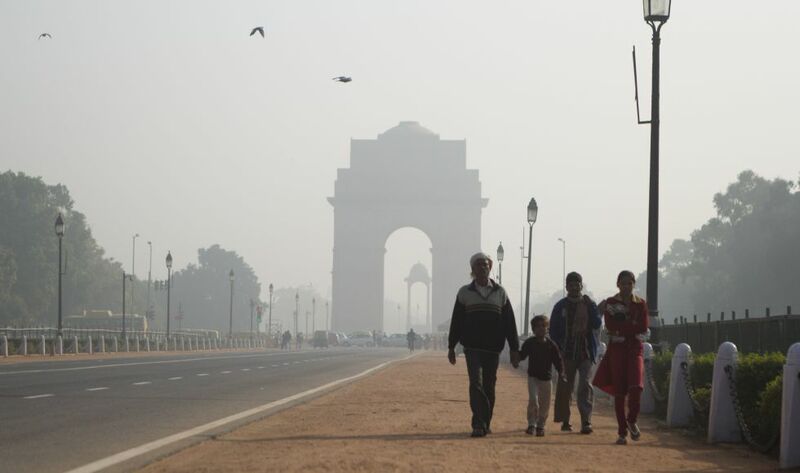 The most polluted city on earth, that is, the New Delhi is the home of 18.9 million people. Several publications published about the air quality index of the air in Delhi and it comes out to be more than double of what considered to be hazardous. The air that the Delhiites are breathing can cause serious respiratory problems, lung problems, deadly for the newborns and what not. People still need to understand the consequences of their actions otherwise nobody could save Delhi from the Delhiites. Previous article भारत में बनी स्वदेशी तोप K-9 वज्र, ओर विश्व की नम्बर एक अमरीकी तोप भारतीय सेना में शामिल.